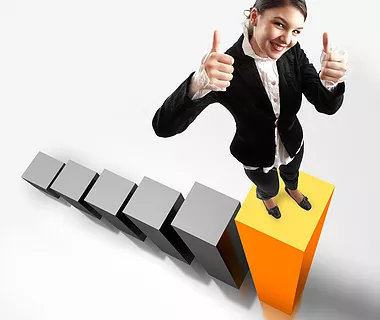 D3 Design Solutions announces today, after more than 8 years of business, we will begin operating under a new name and will now be known as Dynamic 3D Solutions. Dynamic 3D Solutions (D3DS) is pleased to announce the addition of Nathan Hicks and Carol Friedel as Senior Piping Designers to our team. Carol brings over 22 years experience in mechanical, piping, industrial and P&ID design experience. She has worked on many different projects and roles but excels in 3D piping design. Carol's experience with Microstation, Autocad, AutoPLANT, and Autocad Plant3D will immediately provide a significant impact to our customers. Nathan has over 11 years experience in manufacturing, piping & mechanical design, estimating, and even fabrication. His experience with Cadworx, Autocad Plant3D, Autocad and using 3D laser scans will provide a very in-demand tool set for our customers. Nathan's also experienced with Autodesk Inventor having designed a portable, folding solar generator that is fully contained on a trailer. We're excited to add Nathan and Carol's expertise to our arsenal. We're confident that with their ability to mentor and provide leadership to younger or less experienced designers, D3DS will continue to grow well into the future. 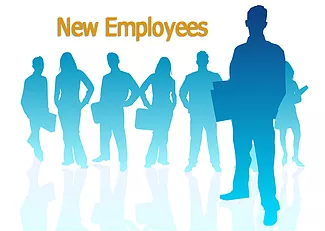 Please take a minute to welcome Carol and Nathan to our team! 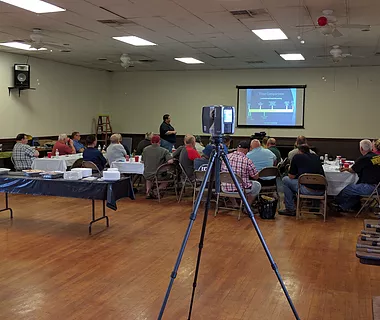 Recently we were invited to present a seminar on executing a project with 3D laser scanning and 3D design at the quarterly Mississippi - Kaskaskia Valley Water Pollution Control Operators Association (MIS-KA) meeting. We met a lot of great industry people and as always, enjoyed spreading the word of how 3D laser scanning can save our customers both time and money. Thanks to MIS-KA (www.mis-ka.com) for allowing us to speak, Illinois Electric Works for hosting the event, and Jack Taylor with Heneghan & Associates for inviting us. Dynamic 3D Solutions, LLC (D3DS) is pleased to announce the addition of Richard Santiago as Partner to our team. Richard has over 24 years experience in the industrial engineering design market and has his MBA from McKendree University. Dynamic 3D Solutions is pleased to announce the addition of Brett Brazier as a Senior Civil- Structural Designer to our team. Brett has a Civil engineering degree combined with over 36 years of engineering experience in the market sectors of commercial facility and light to heavy industrial. 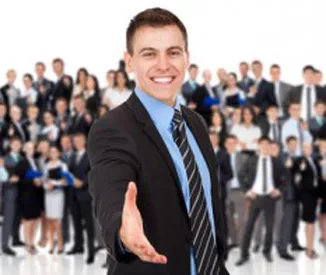 He also has experience in project management, budget estimates, cost scheduling management and many CAD 2D and 3D software packages. Brett resides in the St. Louis area Chesterfield with his family. He enjoys carpentry and home remodeling. 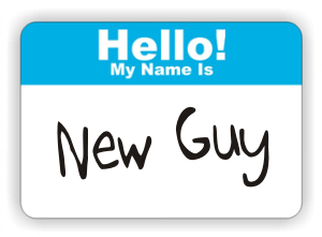 Welcome to the team Brett! 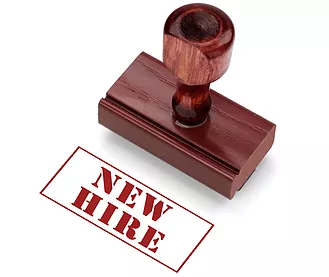 Dynamic 3D Solutions is pleased to announce the addition of Scott Heivly as a CAD Drafter to our team. Scott recently completed his Master of Architecture Degree in at Southern Illinois University Carbondale and has experience in electrical design, construction project management, general drafting, as well as running a plasma cutting table for a local machine shop. Dynamic 3D Solutions was excited to be able to attend the SPAR 2015 conference in Houston, TX. 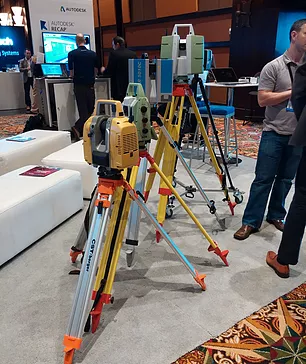 SPAR International is a technology-neutral exhibition and conference on 3D technologies for surveyors, engineers, facilities managers, asset owners and other stakeholders. 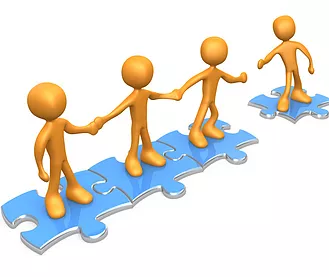 Conference programming covers end-to-end 3D from data capture to deliverables including considerations for information dissemination across the organization. SPAR content will examine how 3D technologies are applied in a range of applications including engineering, construction, operations & facility management, infrastructure, manufacturing and security. Dynamic 3D Solutions is pleased to announce the addition of Michelle Cope as our Accounting Manager. Michelle brings many years of experience in office management, accounting, bookkeeping and marketing. Please join us in welcoming Michelle to our diverse team! Dynamic 3D Solutions is pleased to announce the acquisition of our latest cutting edge technology - introducing our new Faro Freestyle handheld scanner. The FARO Freestyle3D is a top-quality high-precision handheld 3D scanner. It quickly and reliably documents rooms, structures and objects in 3D and creates high-definition pointclouds. With unbeatable precision it is suitable for all applications in which installations or properties must be quickly measured from various perspectives. 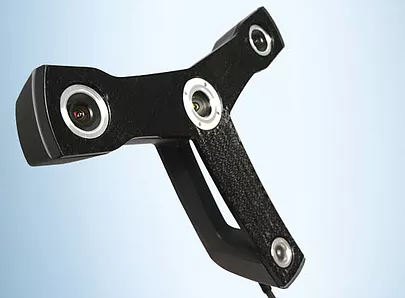 The applications areas of the FARO Freestyle3D are diverse and range from construction to industrial production and forensics. The Freestyle scanner data integrates seamlessly into the point clouds captured with our terrestrial scanner allowing us to create even more highly detailed laser scan point clouds at no additional cost to our customers. Dynamic 3D Solutions is pleased to announce the addition of Senior Piping Designer Chris Richardson to our talented engineering design team. 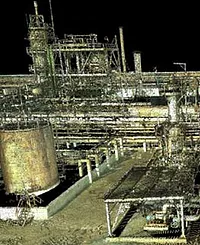 Dynamic 3D Solutions, LLC (D3DS) recently performed a 3D laser scan on a processing facility in Texas for a global market leader. This project presented some unique challenges due to the inherent nature of grain handling. The vibrating equipment and dust made it difficult to capture the existing condition. We were able to overlap the scans sufficiently and over sample each scan location to capture all relevant equipment and structure to make our client's project a success. 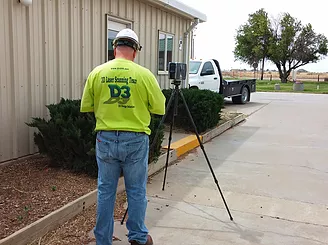 Dynamic 3D Solutions, LLC (D3DS) announced today that it will be offering 3D Laser Scanning as one of its many services effective immediately. Addition of this service further cements D3DS as a technological leader in the engineering software and detail design market.